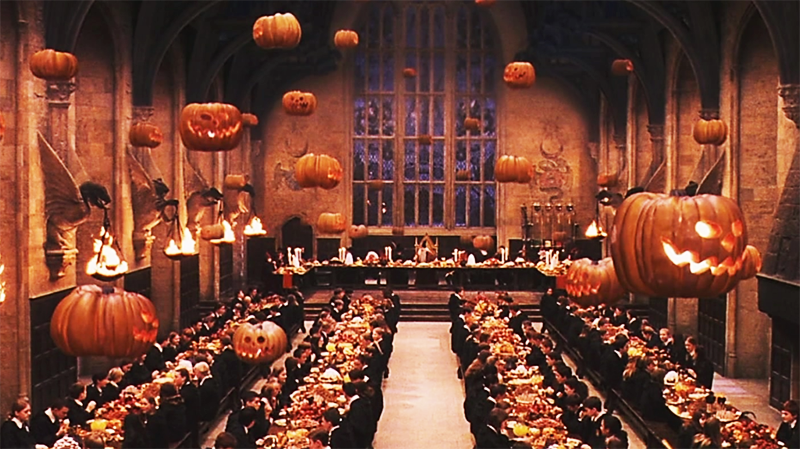 Happy Halloween Lovelies! On Halloween I've always struggled with finding a film to watch that isn't either incredibly violent or just damn horrifying. Maybe it's just me but I don't like horror films. I love a bit of creepiness yes, and darkness, but being scared out of my mind? No thanks! So here's a list of some films that won't keep you up at night, but still embrace that Halloween spirit. 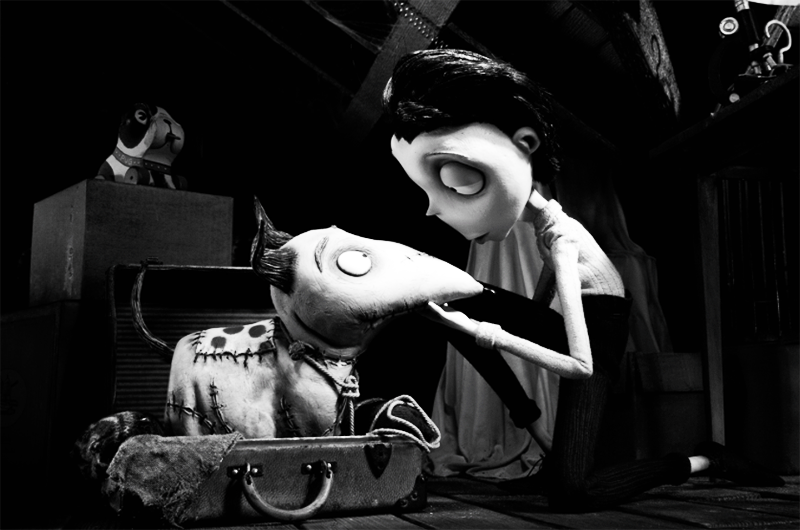 You can't really talk about Halloween films without mentioning at least one from Tim Burton, so I thought I'd suggest one of the lesser known films, Frankenweenie. Shot completely in black and white, it has a very unique feel almost as if you're watching a vintage film from years ago. The story follows ingenious Victor, who manages to bring his beloved dog and only friend Sparky back from the dead. It's a bit creepy, and weird, but if you love dogs this will definitely be pulling at your heartstrings. Ok so this film is not scary on any level at all, but it's adorable so perfect for anyone who wants something in the spirit of Halloween that isn't actually terrifying! 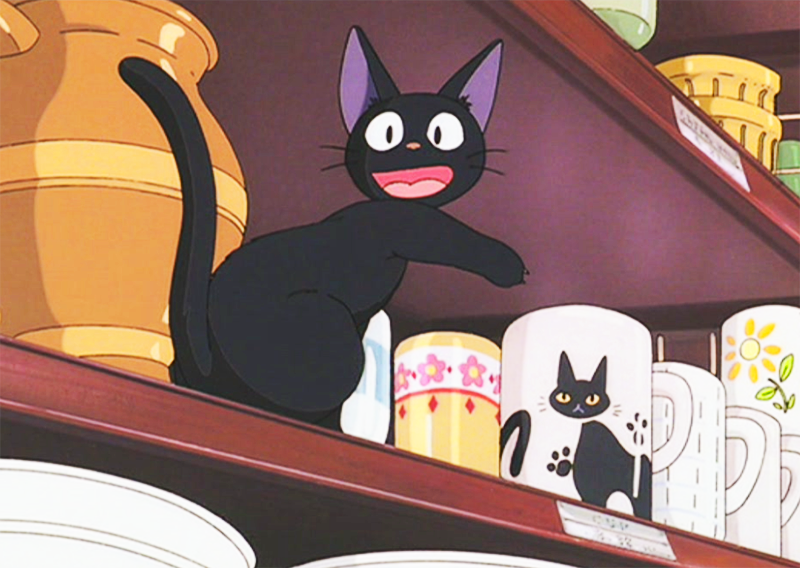 It's all about Kiki, a teenage witch who travels away from home and starts her own delivery service. 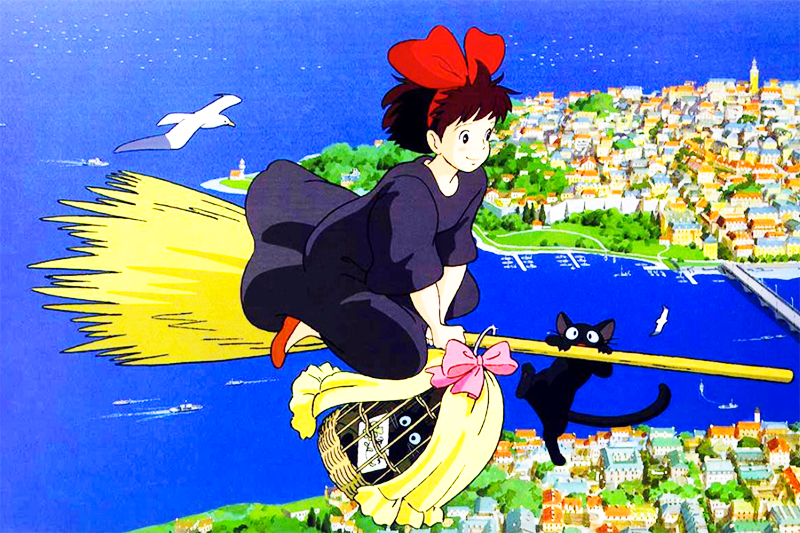 On her broomstick, she travels around with sassy cat Jiji delivering parcels and finding new adventures along the way. The animation is also beautiful, as you'd expect from any Studio Ghibli film. 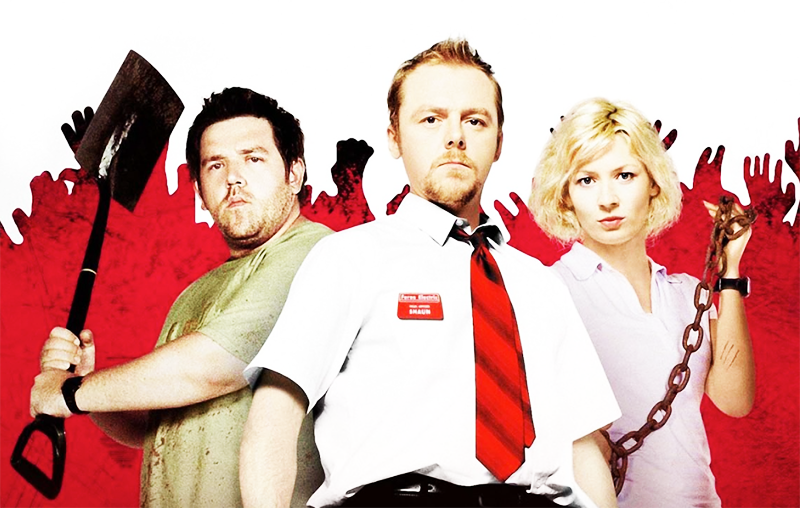 Shaun of the Dead is my favourite Halloween film by a long way. I've always found zombies hilarious (they just don't scare me at all! ), so a zombie comedy has me written all over it! The story follows hopeless Shaun (Simon Pegg), after he's dumped by his girlfriend and faces the ever so slightly daunting prospect of a zombie apocalypse. Surprisingly he rises to the opportunity, and becomes a loveable yet still rather pitiful hero. Just don't watch it if you really hate gore, there's a lot of it! If you grew up in the UK like me, you'll be more than aware of the undeniable charm of Wallace and Gromit. If you aren't, then take my word for it, Wallace and Gromit are absolutely charming. 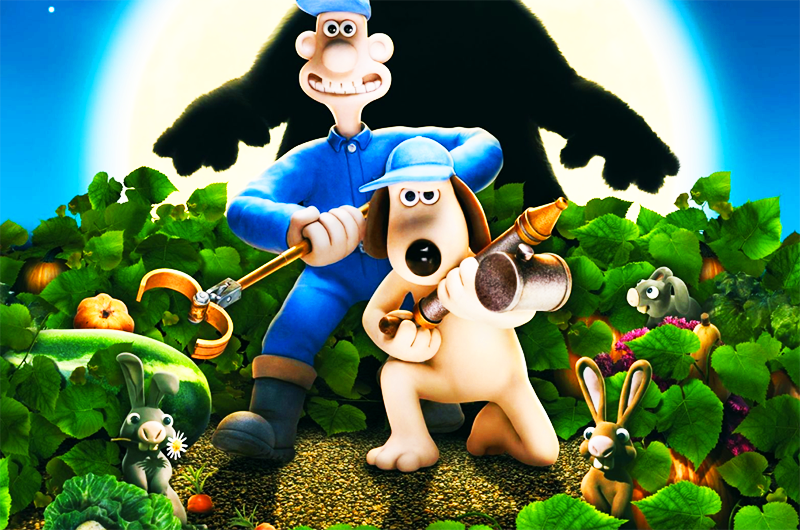 In this Halloween film, Wallace and Gromit start a pest control business due to the recent alarming rise in the rabbit population. However there's one large rabbit in particular, the Were-rabbit who they need to capture before it really starts to cause chaos. Thank you for reading lovelies! Are you up to anything this Halloween? I will be attempting to bake something rather spooky and be carving pumpkins, how about you? Want some more Halloween inspiration? Glad the list suits you :) And yes Studio Ghibli films are amazing! definitely running a HP marathon this weekend! Ooh I want to have a HP marathon too! Noooo! That defies the whole meaning of Halloween! Haha! All jokes aside, Shaun of The Dead is classic and I have watched it many times. It's the best of British humour! I've been bugging my husband to watch The Conjuring again tonight, it's one of the best horror movie that I've ever watched. Haha lol I know, I really don't do Halloween properly at all! Isn't it hilarious, it's got the best British humour! Haha, so this is a list for you too then. Thanks lovely - hope you had fun too!